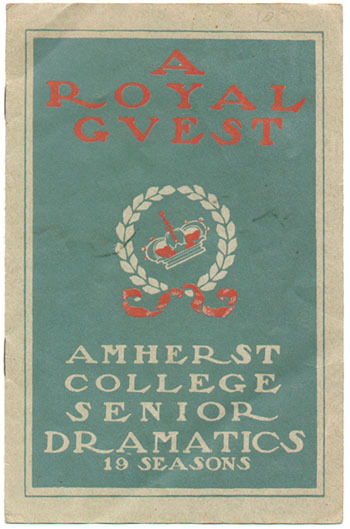 This program is from the 1902 Senior Dramatics performance of "A Royal Guest." The play had a cast of nine and had a sixteen-performance run in five states along the East Coast from March to June. It also featured two songs by Amherst musicians, including the The Campus Dreams Waltz.